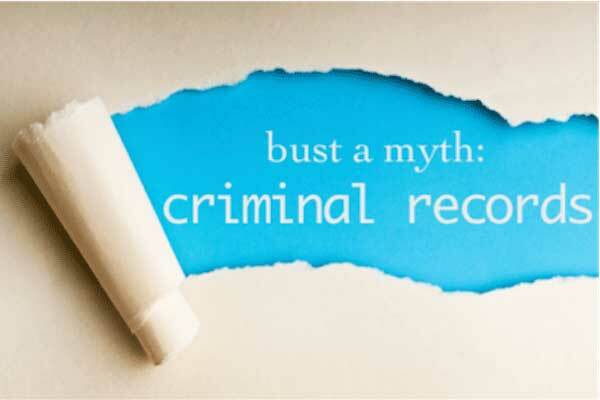 Do you know one of the most common misconceptions about criminal record identifiers? It's that a Social Security Number is available on a criminal record. Surprisingly, this is one of the least common identifiers! Why is SSN usually not on a criminal record? Let's explain with a demonstration. Ask everyone in your office space if they have their SSN card on them right now. Now ask to see the card as proof (just kidding – don’t do that; they’ll think you’re weird). With the exception of the guy that started on Monday (because he just used it for his Form I-9), your count is probably zero. Now ask (or guess) how many have their driver’s license or State ID on them and carry it regularly. Just a guess – 99 to 100% success! Law enforcement agents do not want to blindly write down whatever information someone gives them during an arrest without verification – otherwise we’d have a lot of interesting nicknames and everyone would live at 123 Main Street. It is difficult to lie about something that can be easily verified on the spot. Name, DOB, and address can be verified on the driver’s license, which we have proven most people carry. SSN can only be verified on a limited number of documents, most of which will not be readily available. As a result, one can conclude if it’s unlikely to be found on an ID card that most people carry, it’s unlikely to be on the criminal record. According to the FCRA, in order to report a criminal record, we are obliged to retrieve two identifiers. Starting with the topic under discussion, records will occasionally contain an SSN or the last 4 digits. Since this is required for most background screen requests, we’re glad when it’s readily available in your order. Considering the above lists, it is of the utmost importance to ensure the information you provide on your request is 100% accurate and that you are providing as much information about the applicant as possible. With more options for identifiers readily available, it also allows us to complete the search quicker because there isn’t a delay in tracking down that information. Want to know How Long a Background Check Takes? Read it HERE! The SSN is the cornerstone of a background check – it is used to retrieve address history, which drives the criminal record search, among others. However, it is uncommon to find the SSN on a criminal record because it’s not readily verifiable or is not often provided during an arrest. As a result, the idea that all records returned on a background check have been verified by the SSN is one of our most common background screening misconceptions. That being said, almost all other information you provide in your order, especially the full (first, middle and last) name and date of birth, are actually identifiers used to verify criminal records. Choice Screening wants you to get the most out of your background screening services. Want to learn more?